Update: HPCwire has received confirmation from Atos that the system will have a peak speed of 537.6 teraflops and 956 terabytes of storage capacity. The article has been updated accordingly. In just a few months time, Senegal will be operating the second largest HPC system in sub-Saharan Africa. The Minister of Higher Education, Research and Innovation Mary Teuw Niane made the announcement on Monday (Jan. 14) during a signing ceremony involving the National Confederation of Employers of Senegal (CNES) and the Arianegroup SAS company, which specializes in aerospace construction. According to a report by the Ecofin news agency, the supercomputer was secured through a €15 million financing agreement, signed in Paris in December 2016. The same article indicates the new system will have a peak speed of 320 teraflops 537.6 teraflops and an integrated storage capacity of 21 terabytes 956 terabytes. At over one petaflops, South Africa’s Lengau supercomputer will remain the fastest supercomputer on the African continent. French digital services provider Atos is supplying the system, which will be installed at the Centre National de Calcul Scientifique (CNCS) in the new smart city of Diamniadio near Dakar, the capital and largest city of Senegal. The funding agreement includes support for maintenance, training and other activities over a five-year period. Focus areas for the supercomputer and the newly created CNCS include agriculture, health, genomics, biotechnology, mining, energy sectors, security, meteorology, climate change, coastal erosion, water management, navigation, environment, and satellite data exploitation. 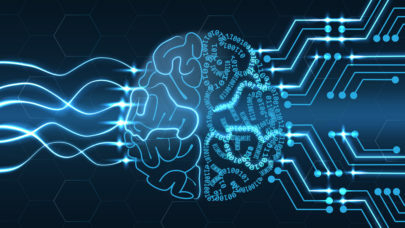 The center will also support skills development related to artificial intelligence, big data, computer security, robotics, and scientific computing. “Senegal has opted to make science and technology levers of its economic, social and cultural development,” said Mary Teuw Niane.